Sailing yacht NEKI - Main. 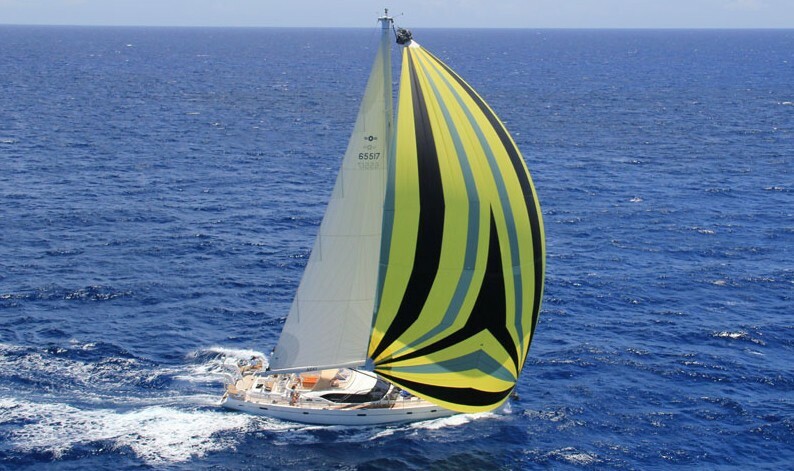 Sailing yacht NEKI was designed by Rob Humphreys and built by Oyster Marine Ltd in 2008, she is a beautiful example of the popular yacht in every aspect. 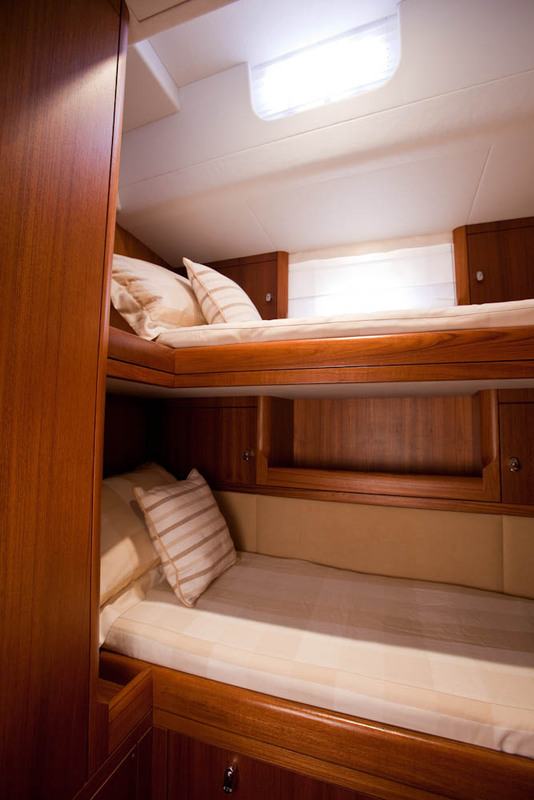 Measuring 20.6m (67ft) she can accommodate up to 6 guests in 3 well-appointed cabins. 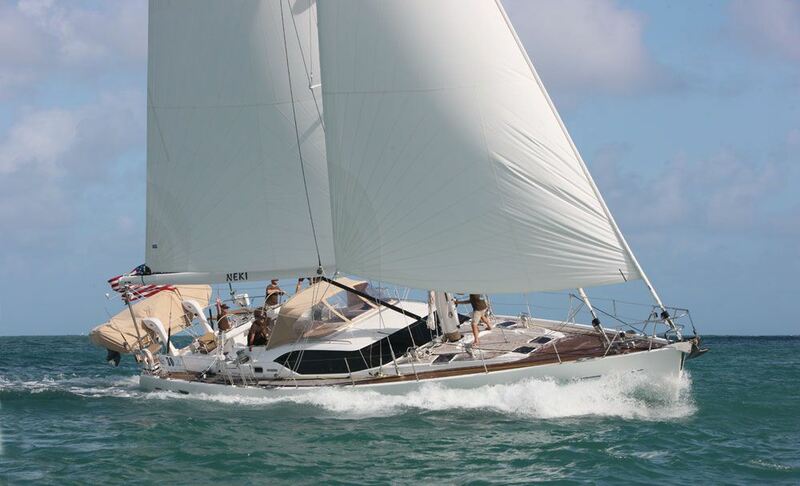 S/Y NEKI is available for charter year round, enjoying the warm azure waters of the Caribbean in the winter and the stunning scenery of the US eastern seaboard in the summer. 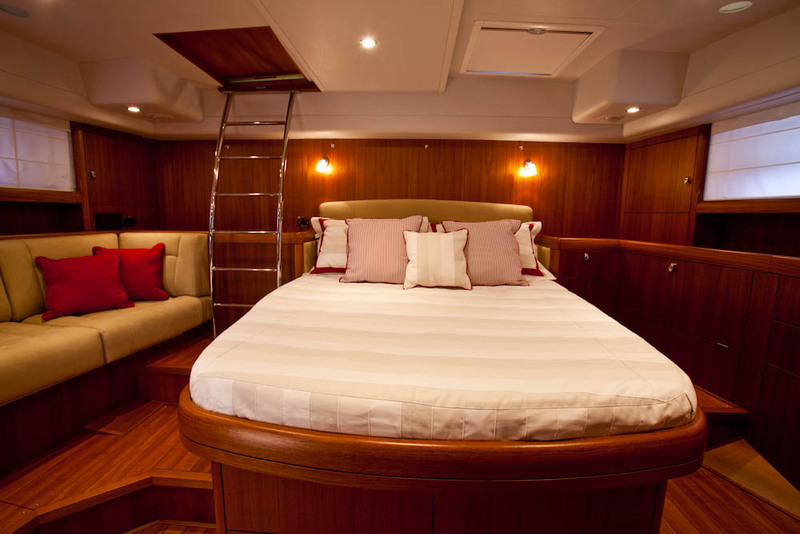 Below decks, sailing yacht NEKI offers an open airy feel with classic neutral tones and generous space. The salon and dining are an open plan with ample port lights providing plenty of natural light, 2 tan sofas are on port and starboard, a unique styled inlay formal dining table to starboard seats all her guests in optimum comfort. S/Y NEKI comes equipped with state of the art entertainment including a plasma TV in the salon and a surround sound music system. Charter yacht NEKI boasts an alfresco dining option in the capacious cockpit, with a fabulous teak table, Bimini for shade, built in refrigerated refreshments cooler and speakers for music from the salon making it the ideal spot for any meal. A walkthrough from the main cockpit passes the dual helm station continuing onto the wide aft deck, with additional seating and perfect sunning areas. The NEKI sailing yacht offers a large swim platform with ladder giving easy access to the fun array of water toys. 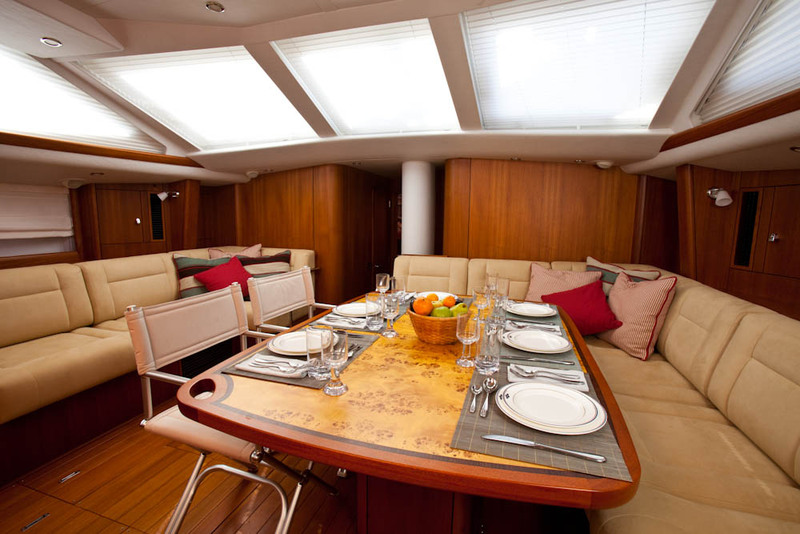 The foredeck has ample flush teak areas to relax while at anchor with optional sunpads. 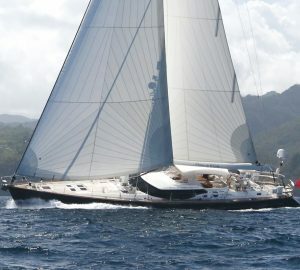 The Oyster Marine yacht NEKI has a beam of 5.6m (18ft) and a draft of 2.95m (6.8ft), she sails comfortably at 8 – 9 knots. 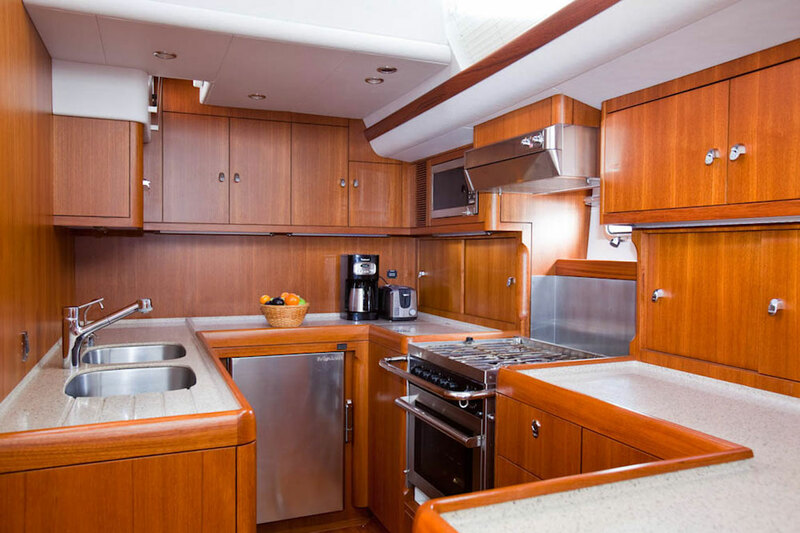 Luxury and style is a well-known feature aboard the Oyster yachts and NEKI is no exception. Her clean simple décor is warm and welcoming, each cabin infused with plenty of natural light. 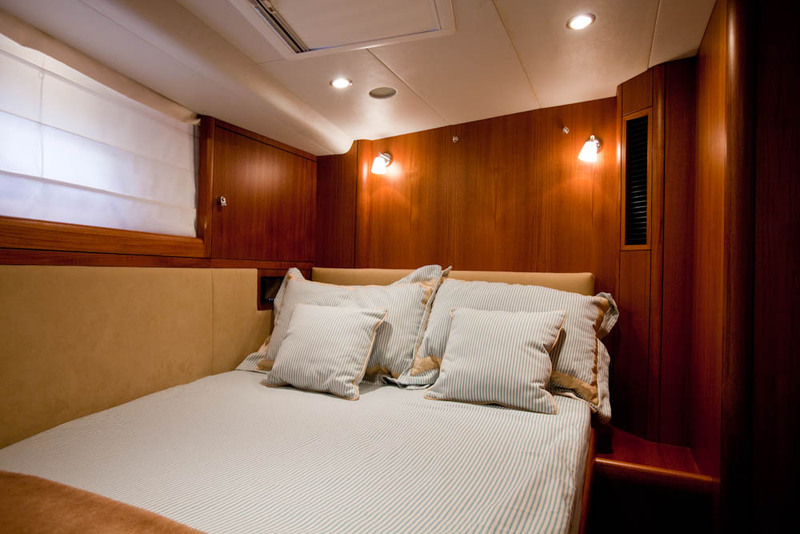 The master stateroom is full beam of the yacht aft with a walk around double bed, vanity, sofa, and secondary private deck entrance plus en-suite facilities/shower. 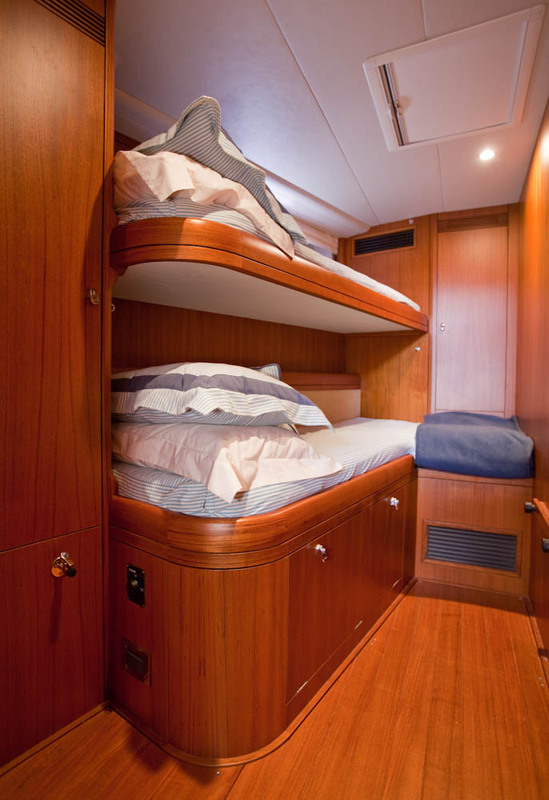 A twin upper and lower bed cabin is on the starboard amidships aft of the salon, this cabin has shared facilities. 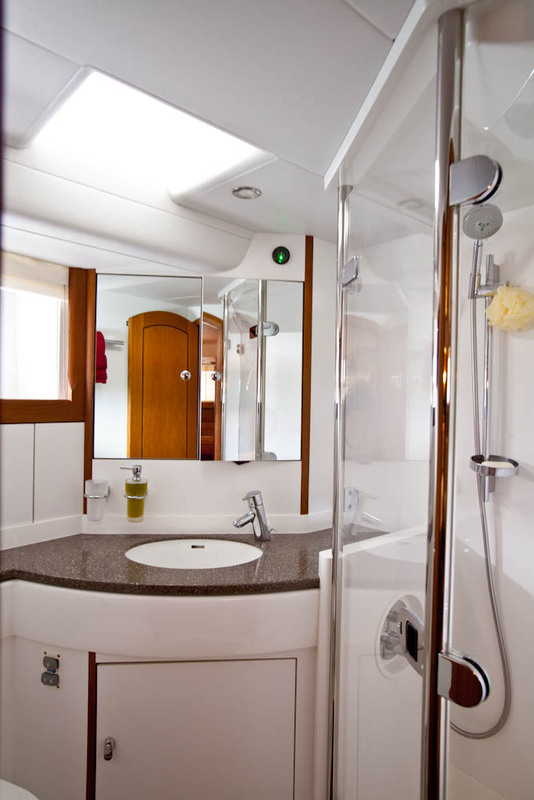 Forward of the salon a guest cabin has a double bed and en-suite facilities, followed by an upper and lower twin bunk cabin to port, this cabin can convert the lower bunk into a double and shares the facilities with the starboard twin cabin. The crews are flexible on the cabin arrangement and are happy to occupy either forward cabin as needed.